Modern GPS tracking device “Autofon” warns about all deviation from setted routes or exits in any areas. A map drawn by its owner gives an alert massage in any cases, therefore, a person can follow vehicle tracking very easily. We suggest reliable GPS trackers sold for good price online and also available to use for fleet management. 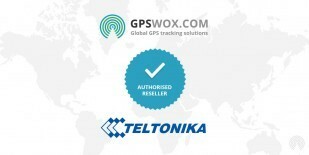 Autofon GPS Tracker devices support GPS Tracking Software provided by GPSWOX. Do not wait and get your own Autofon GPS Tracker device which support GPS Tracking Software.